A man has been arrested at the site of a tree felling protest in Sheffield today. 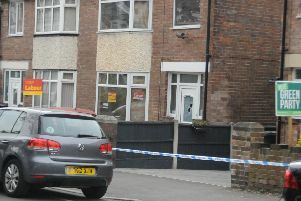 The 47-year-old was arrested on suspicion of wilful obstruction of a highway in Kenwood Road, Nether Edge. A South Yorkshire Police spokesperson said: "Work at the site ceased in the early afternoon and a slow walk was then facilitated after liaising with protesters. "However, as workers attempted to exit the site, one vehicle was unable to leave for around 45 minutes, due to pedestrians in the road. "As such, one person was arrested under the Highways Act 1980." The fight for Sheffield’s trees has its roots in a £2 billion private finance initiative deal signed by the Labour-run council in 2012. The contractor Amey is tasked with maintaining the city’s 36, 000 roadside trees as part of the Streets Ahead road maintenance agreement. Campaigners claim healthy trees are being unnecessarily destroyed but the council says the work is required to remove diseased, damaged or dangerous trees.